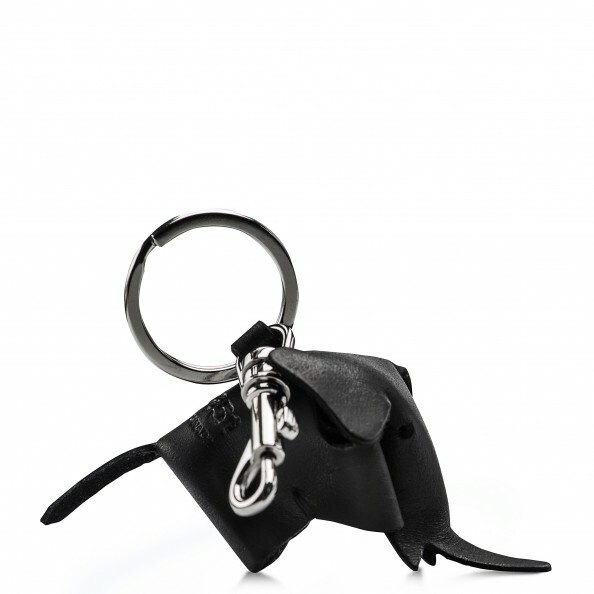 Elephant Key Ring made of Montana leather. Features a metalic key ring and hook. Can be used to carry your keys or be attached to your bag as decoration. Montana is a semi-aniline dyed, full-grain bovine leather, engineered to acquire a smooth and refined surface with a perfect balance of pliability and durability. The natural sheen on the surface is obtained by wax polish, which will allow Montana leather to soften and acquire a beautiful surface patina with time and wear. Montana leather is produced by an award-winning European tannery based in the Netherlands established in 1985. We share their passion for raw material and design and their highly progressive approach to innovation. Montana leather has been in the collection for nearly 5 years. It is only used to produce bags and accessories exclusively.